One need not be a student of Chaos Theory to know how complicated and complex life can be. We are surrounded by evidence of it all the time. The sudden collapse of the international financial system in 2008 shook the world economy and undermined confidence in the entire edifice of economic science. Recent debate over theories and predictions of climate change has reinforced the age-old conception of the unpredictability of weather – a synonym for the fickleness of Nature – and the inherent uncertainty of life. The safety systems at Fukushima broke down in spite of sophisticated backup mechanisms thought invulnerable to any eventuality. Recent social unrest and political turbulence in Egypt, Turkey, Brazil and Ukraine point to serious deficiencies in our understanding of social systems and human behavior. Anticipating and managing human expectations seem to be far beyond the grasp of contemporary social science. These incidents are examples of complex social systems that have long defied analysis by conventional scientific concepts and tools. Black swans, tipping points and butterfly effects are only the tip of the iceberg. The real complexity of life expresses everywhere, though often masked by aggregate statistics that reduce variation to averages, normal curves and trend lines. During the 20th century, the divorce rate in the USA (per 1000 married women) rose five-fold. A simple trend becomes more complex when we begin to examine the multiple factors responsible for the increase. Partially it is the result of measurable physical factors, such as longevity, rising levels of household income, smaller family size, more working women, greater physical and social mobility, improved health and the discovery of Viagra. But it also reflects changes in social and psychological behavior – greater social equality, use of internet chat rooms, rising expectations, changing attitudes for and by women, ideas about love and romance. And when we zero in on specific cases, explanations may range anywhere from a husband’s job loss or Alzheimer’s disease to his wife’s love affair or recent business trip to the Philippines. To describe the issue as complex may destroy simple stereotypes but it actually tells us very little. Given the overwhelming evidence about the complexity of life, it is remarkable that science has made such enormous progress in recent centuries based on simplistic assumptions regarding the nature of reality. The assumption that reality can be explained in terms of closed systems and linear models may be practically useful to the scientist, but grossly err when they are mistaken for an accurate description of reality. Advances in the Science of Complexity offer new concepts and tools that promise to unravel some of the mysteries associated with complex systems and the uncertainty associated with non-linear phenomena. Dynamic systems theory, self-organization, autopoiesis, emergence, networks, organismic theory and similar concepts are altering our understanding of both natural and social phenomena. But even more importantly, they are also altering our understanding of the impact of our mental processes and ways of knowing on our perception of reality. As science evolves, our ways of thinking and knowing are evolving as well. The emergence of new sciences is making us more conscious of the habitual forms of thinking that have defined and circumscribed the development of science over centuries – mental habits which have been reinforced by prevailing conceptions of reality, inculcated by belief systems, consciously buttressed by the education system and unconsciously transmitted by culture. Science seeks reliable knowledge. The word ‘knowledge’ is derived from the Latin scire “to know” and the Greek skhizein “to split, rend, cleave”. Human beings have different ways of knowing reality – physically through sense perceptions, emotionally through feelings and empathy, and mentally through rational analysis of data and facts, through formulation of thoughts, ideas, theories and imaginative experience. Modern science relies on the mind’s capacity for analysis as its primary instrument for knowing. Earlier civilizations relied on other ways of knowing, such as the intuitive perceptions of Vedanta and Taoism. It is somewhat ironic that, as Karl Popper observed and many great scientists have testified, the greatest discoveries of modern science have occurred by a process that far more closely resembles intuitive ways of knowing than conventional rational analysis. Therefore, it is worthwhile inquiring into the gradual change in mental processes associated with the recent emergence of new knowledge and new sciences and to reflect on what conscious efforts can be made to transcend the limitation of existing patterns of thought in the quest for ways of knowing that more adequately reflect the complex realities of the world we live in. Modern science arose in the West as a quest for knowledge free from the dogma of established church doctrine and the distorted appearances of reality presented by our senses. To the senses the Earth is flat and motionless. Copernicus’ formulation of the heliocentric theory of the solar system challenged existing Church dogma regarding the central position of the Earth in the universe. It also challenged the direct evidence of the senses that the Sun rotates around Earth, a stationary planet. From time immemorial people have noted that a stick dipped in water appears bent or broken and a rapidly spinning windmill appears as a solid disk. The Milky Way was thought to be a cloud in the heavens until Galileo’s telescope suggested it may consist of a multitude of stars packed closely together at a great distance from earth. Long before scientists discovered that what appears as solid matter is actually a mass of rapidly moving wave-particles, the scientific method developed as a means to eliminate the distortions arising from sensory appearances as well as the expectations, biases and prejudices of the observer. More significantly, the rise of modern science was based on the premise that sensory information may provide a distorted picture of reality. It affirmed a different mode of knowing in which the observer steps back and detaches himself from sense impressions and subjects them to systematic analysis before arriving at conclusions. The illusion of the senses was also known to social thinkers long before the birth of social science. Sun Tzu’s ancient treatise on The Art of War counsels military leaders that “All war is based on deception. Hence when we are able to attack, we must seem unable…”2 The Allied command applied this advice with extraordinary success during the D-Day invasion of Normandy by creating diversionary attacks elsewhere along the coast of France. Mindful of Machiavelli’s advice to employ deceit in the relations with other princes, Hitler impressed Neville Chamberlain on his visit to Berlin in 1938 so much so that the British Prime Minister came back convinced Germany did not want war. Stalin’s gracious behavior made an equally benign impression on Roosevelt at Yalta in 1945. In economics, the distortion of sense data prompted former Federal Reserve Bank Chairman Alan Greenspan to assert that the economy was on a sound financial footing just shortly before the 2008 crash. In business, financial data on the performance of Enron deceived investors, bankers and employees into concluding that the company was soaring to new heights just months before it crashed into bankruptcy. Although science has adopted a healthy skepticism regarding the reality presented by the senses, this has not prevented it from striving to ground its observations and conclusions on the realities presented by the senses. Instead it has taught scientists to discriminate between sense impressions and the conclusions to be drawn by mental analysis. Modern science is still predicated on the sole reality of that which is represented by the senses and their instrumental extensions. This habit of mind of depending on the concrete reality of physical sense data imposes limits on the freedom of the thought mind to interpret sensory evidence or conceive of possible explanations. The notions that matter is energy in motion, that space and time are relative, and that light possesses properties of both a particle and a wave are inconceivable in conception to minds fully rooted in the senses. The sense mind observes facts, one at a time, as disparate existences with their own identity. Stepping back from the sense mind that perceives data to the thinking mind that analyzes them and conceives of pure ideas, we are compelled to agree with mathematicians and philosophers that knowledge based on abstract thought has its own reality independent of our senses and our perception of physical phenomenon. These higher ways of knowing employ the mind’s capacity for analysis, comparison and coordination. Mind applies this power to find relationships between pieces of data to evaluate facts and organize them as information. It applies the same power to coordinate two or more facts to one another based on their similar or contrasting characteristics to arrive at a thought and to coordinate two or more thoughts with one another to derive an idea that relates them. Copernicus shared the belief in a mathematically perfect universe. His calculations based on data regarding the relative position of the planets over time confirmed the idea that they revolved around the sun rather than the earth. This discovery, in direct contradiction to the data of the physical senses, revived the ancient distrust of sense perceptions and the search for intellectually coherent concepts or laws of nature. It resulted in a subtle shift in the concept of knowledge from observation of physical sense data to mental concepts about the objects of sense data. Even when we go beyond the limitations and distortions of sense data, our view of reality is still powerfully influenced by the logic of the physical − mind’s first training ground – in its effort to comprehend reality. That logic arises from the apparently discrete existence, solidity and distinctness of material objects, which appear to be separate and independent, are never in two places at once or two things at the same time, and cannot be given away and retained simultaneously. This mode of logic leads inevitably to our mind’s propensity to know things by their differences, categorization, comparison and contrast. This faculty is of great practical utility, but as we have discovered, what our physical mind holds true of finite material objects is just an appearance. According to Quantum Theory, nothing is solid, nothing is separate and independent of its environment, even dense physical objects exist in constant relationship with things around them and even in outer space. And when it comes to non-material forms such as emotions and ideas, the logic of the physical mind breaks down completely. We can simultaneously think and feel many things relating to the here and now or somewhere else and some other moment in the past, present or future. We can share our thoughts and feelings without losing them; indeed, we grow by the process of giving. Each thought, feeling, idea and value forms an inextricable element of a complex, ever-changing web of associations, experiences, expectations and aspirations. In retrospect we find that the detachment of knowing from strict subordination to sense impressions was merely the first step in the rise of modern science. Science progressed with increasing rapidity during the 18th and 19th centuries by the emergence of a triad of dominant conceptions regarding the nature of reality – physicalism, reductionism and mechanism. The atomistic conception of matter prevalent until the end of the 19th century was of separate, independent particles quite distinct from one another and from the various forms of energy with which they interact. This perspective was a natural consequence of the reductionist view of reality that dominated science at that time. Reductionism is based on the premise that the whole is nothing more than the sum of its parts, that it can be fully understood based on the properties of its smallest constituent parts, and that causality is from the part to the whole. The reductionist perspective led to an emphasis on chemical and electrical explanations for life and the germ theory of disease. It gave rise to conceptions of the body as combinations of genes, cells, organs and systems and of health as the proper functioning of each component cell, organ and system. It led to the decoding of the DNA molecule and efforts to explain the entire range of physical characteristics and abnormalities in terms of the molecular structure of the genome. Its ultimate goal was to reduce all biology to chemistry and physics. In the social sciences, reductionism gave rise to the concept of society as a composite of innumerable independent members, organizations, systems and activities, each subject to minute analysis as a separate reality – political, economic, social, cultural or psychological. In political science, it was synchronous with the dramatic shift toward individualism and the rights of the individual citizen in the centuries following the Renaissance. In economics, it served as the basis for the emerging social philosophy of capitalism based on the central place of competitive individual behavior in the wealth of nations. In epistemology it led to a conception of knowledge as an amalgamation of data, facts, information, and ideas derived from many discrete, independent fields. The capacity of mind to divide and analyze is prodigious and inexhaustible. Liberated from the constraints imposed by philosophy and religion, reductionism became the ruling principle of experimental science and reigned supreme for several centuries. And with good reason, for it led to remarkable advances in our understanding of the physical universe – the discovery of universal laws of Newtonian mechanics, the decomposition of all material substances into molecules and atoms, the categorization of the elements in terms of their atomic structure, the classification of living species by phylus and genus, the discovery of the cell and the analysis of its constituent parts, the decoding of the human genome by molecular sequencing of DNA, and countless other invaluable insights into the world we live in. It also gave rise to the gradual proliferation of specialized fields of knowledge from a handful of classical disciplines into the countless divisions and sub-disciplines prevalent today. Each has contributed to the advance of knowledge, but becomes an obstacle to further knowledge when its partial perspective is mistaken for a complete representation of the reality it seeks to know. Reductionism is not merely a philosophical outlook. It arises from one of the most characteristic tendencies of the human mind – its powers of division and exclusive concentration. The ordinary thinking mind seeks to know by division. It strives to define unique and mutually exclusive concepts to distinguish and differentiate one thing from another so that they can be precisely defined, compared and contrasted. It has an inherent tendency to atomize reality by division into smaller and smaller parts, to concentrate on each of these parts and regard each part as if it exists as a thing in itself separate from everything else, and to regard each part as a separate whole in itself. Mind perceives form by identifying the boundaries that set it off from its environment. It conceives ideas by assigning exclusive, fixed meanings to words. It tries to clamp everything into rigidly fixed forms and apparently unchanging external factors, such as the ideal conditions of perfect competition on which the economic theory of supply and demand is based. It tries to ignore, dismiss or reject as anomalies all that contradict or are logically incompatible with its conclusions on the premise that the opposite of every apparent truth must be false. If only reality were so simple! The tendency to divide gives rise to a conception of reality in terms of sets of mutually exclusive polar opposites – true-false, animate-inanimate, conscious-unconscious, progressive-regressive, good-evil, right-wrong. The capacity of the mind for exclusive concentration inevitably leads to the perception of extreme and mutually exclusive contradictions − liberal-conservative, Capitalism-Communism, Darwinian and Lamarckian, Keynesianism-neoliberalism. It gives rise to the logical conclusion that two things cannot occupy the same space at the same time or be in two different places at the same time, that markets should not be regulated because economy and politics are independent fields of activity. Within economics it led to the perception that financial markets should be regarded as separate and independent of the real economy and that markets should be left to function independently, regardless of their impact on society and human welfare. The problem of knowing is seriously complicated by the fact that we human beings are ourselves a part of the reality we seek to know. Can a part ever know the whole? Can a cell or an organ – even a brain – have the knowledge of the whole body or the whole of life of which the body is a part? Can a mind that consists of mechanical-electrical-chemical events ever know itself and the true nature of consciousness other than that which is founded on electro-chemistry? Cartesian dualism presented an early solution to this dilemma by applying the divisive capacity of mind to divide reality itself into two neat, mutually-exclusive realms − Mind and Matter. By separating mind and matter, Descartes abolished the holistic view of man as a part of Nature. He affirmed the view of an inanimate material world inhabited by machine-like forms of life, and fully explicable in terms of mathematical formulae, whereas he regarded the rational human mind as non-material, non-mechanical, and capable of perceiving the mathematical order of a mechanical universe. Newton and Galileo affirmed a dualistic reality consisting of two independent components – a physical reality that could be observed by the senses and a non-material, non-objective reality, responsible for the phenomenon of life, mind and consciousness. They accepted the premise of methodological naturalism that the physical reality was the legitimate field for scientific inquiry, leaving the non-material dimensions to religion and philosophy. But the tendency of mind for exclusive concentration did not stop with division. It persisted on its course until it affirmed one aspect of reality as the sole reality and interpreted all other aspects in terms of this one. Thus, science soon eclipsed philosophy and religion, proclaiming itself as the sole means for knowledge of reality, as philosophy and religion had each affirmed their exclusive legitimacy during earlier periods. It went still further. Over time, the dramatic achievements of experimental science emboldened some of its proponents to insist that all phenomena could be explained strictly in terms of one side of the dividing line, reducing even mind and psychological experience to purely material terms, and thereby giving rise to the exclusive doctrine of materialism. The tendency toward exclusive concentration led inevitably to the collapse of all reality into a single dimension – the physical. While String Theory has postulated 10 or more dimensions of reality, of which only three are visible, it has no hesitation in eradicating the stark experiential differences between inorganic matter and animate life, subconscious life and conscious mentality. Methodological naturalism, which focused inquiry on physical phenomenon as that which was most accessible to observation, measurement and rational analysis, gradually gave place to philosophical naturalism, which affirmed that only physical phenomena are real. As understanding of the nature of the physical universe grew, materialism extended the scope of physical reality to include physical energy, forces and the curvature of space as well. Human mental and emotional consciousness were reduced to chemical and electrical events, effectively denying reality to the most cherished of human endowments, conscious experience, rational thought, free will, idealism, love, joy, beauty, truth and spiritual experience. The dichotomy between mind and matter was eliminated by concluding that mind too is nothing but a mechanical device governed by mathematical principles. By logical extension, the nullification of consciousness by reduction to solely material principles leads inevitably to a nullification of the observer, the person, the knower and the knowledge observed. According to this view, the sensation of being a conscious individual reposes on the foundation of chemistry and electricity and is as suspect as any other impression born of the senses without any sure foundation for its existence. Ironically, this view comes to closely resemble the Buddhist conception of the void or the theory of illusionism proclaimed by the 8th century Indian philosopher Shankara.4 But whereas Shankara’s philosophy affirmed the sole reality of consciousness and denied the reality of the material world, the conclusions of modern science undermine the reality of consciousness, mind, the scientist and of science itself. How can electrical impulses and chemical events know or affirm anything other than themselves? According to this scientific version of illusionism, the dividing mind somehow creates an illusion of a separate ‘I’ that has experiences ‘as if’ it were conscious and separate from that experience. This leads ultimately to the conclusion that the consciousness of the scientist, the act of knowing and the body of scientific knowledge are mere artifacts with no firm ground in reality – for as far as we know, molecules and electrical currents are not conscious – and that science is nothing but a machine observing itself. Conscious decisions, free will and purposeful behavior are an illusion. The abolition of purposeful behavior in living beings naturally led to the third plank of the triad – mechanical necessity – the notion that all processes in nature share the characteristics of the machine, and all effects are the result of prior physical causes. Newton’s laws of motion confirmed the view of a mechanistic universe. Kepler’s laws of planetary motion, the laws of thermodynamics, the ideal law of gases and Harvey’s discovery of the circulation of the blood were other steps in a series of discoveries that promised to fully explicate the mechanical workings of universal Nature. Mechanism is the natural counterpart of a worldview founded on reductionism and materialism. In combination they have led to remarkable advances in physics, chemistry, biology, pharmacology, genetics and industrial technology. The mechanistic view of reality also guided development of the social sciences. In economics, a simplistic interpretation of Adam Smith’s ‘invisible hand’ promised to impartially generate maximum benefit for all citizens. The mechanistic view reduced economic behavior to an equilibrium between supply and demand in the marketplace, marginal utility, law of cost, a balancing act between inflation and employment, investment and savings, and other ‘natural laws’ as the governing principle of all economic phenomenon.7 At the micro level, apparently conscious individual choices were subject to the same mechanical Necessity as those governing atoms and molecules. This view was clearly set forth by Carl Menger of the Austrian School in Principles of Economics (1871) when he wrote: “Economic theory is related to the practical activities of economizing men in much the same way that chemistry is related to the operations of the practical chemist. Although reference to freedom of the human will may well be legitimate as an objection to the complete predictability of economic activity, it can never have force as a denial of the conformity to definite laws of phenomena that condition the outcome of the economic activity of men and are entirely independent of the human will.” If only modern economics had lived up to Menger’s claims! The triad’s phenomenal achievements led some to conclude that science was on the verge of an all-encompassing Theory of Everything. The failure of the triad to explain the differences between plants, animals and mentally self-conscious human beings and to achieve advances in the social sciences commensurates with those in the physical sciences was for a period eclipsed by the enormous benefits and pride generated by its achievements. Mind is also a relentless seeker. It was perhaps inevitable that once the reductionist mindset gained supremacy, it would be compelled to follow the course set by its initial premises to their logical conclusion. Thus, mind’s capacity to divide and fragment reality by a power of exclusive concentration has taken us to the borders where the infinitesimal shades off into an apparent nothingness. This pursuit has generated products and processes of unparalleled utility and, in some cases, unparalleled potential for destruction. The further the quest has gone, the more difficult it has become to speak with confidence about the true nature of reality – even of the most commonplace material things. And the pursuit of reductionism in the social and psychological realms has yielded even more nebulous results. With each further step, our uncertainty increases, to the point where it has become a predominant philosophical underpinning of modern science. Has science really discovered that the ultimate knowledge is that which we cannot know? Or does this uncertainty arise from a limitation imposed by physical nature on the precision of our instruments? Or could it be the result of the limitation self-imposed by our insistence on outmoded conceptions, unproven premises and partial approaches to greater knowledge? The Julian calendar in vogue for fifteen centuries was remarkably accurate considering that it was based on an erroneous premise of a geocentric universe. The small latitude of error it admitted could be attributed to the limitations of our instruments or the inherent uncertainty of Nature. But after the establishment of the heliocentric view, it became clear that the underlying premise of the Julian calendar was fundamentally flawed. The source of the flaw turned out to be mind’s excessive reliance on the direct evidence of the senses which mistook the apparent motion of the Sun for a fact. Copernicus exposed and countered this sense impression by the evidence of the analytical thinking mind through the non-material instrumentation of abstract mathematics. Similarly, significant scientific discoveries and new theoretical perspectives in the 20th century have arisen to challenge the triad of the enlightenment with a new conceptual framework predicated on a complementary power of the human mind – its power for inclusive comprehension. Mind’s capacity for division leads to exclusive concentration. Its complementary capacity to combine smaller wholes into larger aggregates leads to another perspective on reality that is inclusive and comprehensive. Comprehension and concentration are complementary faculties. Concentration is to focus on a common center. It divides the whole into parts and narrows the field of vision to the smallest perceptible details of its component elements, blotting out perception of the interactions and relationships between the parts and the environmental context and interdependencies within which the parts and the wholes exist. Comprehension is to bring together, to unite. Mind’s capacity for comprehension works in the opposite fashion. It widens the view from each part or whole to the larger wholes of which they are constituent parts and the environmental context in which they exist. As a reaction to the inadequacies of the classical triad based on exclusive concentration, during the 20th century an alternative perspective emerged based on the mind’s power for inclusive comprehension. While the reductionist approach was to divide and subdivide reality ad infinitum, the new approach sought to examine phenomenon in their context and relationship to everything else, to view each thing as an element of a larger whole that exists by virtue of its relationships with other things or with the wholes within which they exist. The holistic perspective can be traced back to Aristotle’s dictum that the whole is greater than the sum of its parts. It was the basis for the unifying thought of the German naturalist Alexander von Humboldt in the 18th and 19th centuries. But the change in perspective from the part to the whole, from discrete objects to contextual relationships, from analysis of the parts to synthesis, gained widespread credence in scientific circles only after Heisenberg and Bohr in their Quantum Field Theory described matter in terms of energy fields forming an inseparable web of relationships, rather than small discrete particles.9The new perspective focused attention on patterns, feedback loops, interconnected systems, self-organization and networks of relationships. It eventually gave rise to whole new disciplines based on a contextual mode of thinking – Systems Theory, Cybernetics, Organismic Biology, Ecology, Gestalt Psychology, Complexity Theory, the science of Networks and Chaos Theory – all of them based on the holistic premise that reality is an indivisible whole. In retrospect, this shift in focus appears obvious, indeed, self-evident. 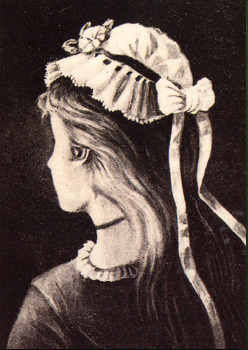 It is reminiscent of the reversible perception test depicting an image that can be viewed either as an old or a young woman, but not both simultaneously. Each living thing exists only in a wider environmental context and its relationship with everything around it governs its functioning. A seed either sprouts, remains dormant or decays depending on the moisture levels and nutrient content of the soil in which it is planted, the ambient temperature, the CO2 level, the availability of sunlight in the atmosphere and the presence of myriad other organisms that either foster or feed on it. The development of systems thinking presented a serious challenge to reductionism. It also displaced the simplistic, mechanistic metaphor of the machine with a more complex, sophisticated conception of organization. Physical phenomena came to be viewed in terms of flows of energy, fields of force and self-regulating feedback loops, rather than merely mechanical actions of one object on another. Biological phenomena came to be viewed as complex self-regulating, self-balancing systems utilizing feedback as an essential mechanism to maintain homeostasis. The discovery of complex patterns concealed in apparently random phenomena such as weather and turbulent flows led to the realization that the appearance of chaos may result from non-linear patterns that actually represent highly complex forms of organization. In genetics, reductionism led to the postulate that everything in biology – and even psychology – may be reduced to genes, because the genome is the only repository of transmissible information. Systems ecology has emerged as another interdisciplinary field with a holistic approach to the study of ecological systems, especially ecosystems. It is based on the premise that ecosystems are complex systems exhibiting emergent properties. Systems ecology focuses on interactions and transactions within and between biological and ecological systems, and is especially concerned with the way the functioning of ecosystems can be influenced by human interventions. The phenomenal successes applying the triad perspective in the physical sciences have exerted a powerful influence on the development of the social sciences as well. A systems approach to the social sciences is now addressing some of the inadequacies of reductionism in study of human beings and their interactions. Human beings are social animals. They do not survive, develop, thrive or evolve socially, culturally and psychologically in the absence of community. Society itself is clearly more than the sum of its parts. It is a highly complex multi-level, multi-dimensional web of interconnections encompassing individuals, families, organizations, communities, states and humanity as a whole knit together by myriad physical connections, social institutions, cultural traditions, shared information, values, ideas and ways of thinking. A more holistic perspective has recently arisen in reaction to the fragmentation of the fields of human life to challenge the notion that economy, politics, society, culture and psychology can be conceived and studied as watertight compartments. It has led to the rise of interdisciplinary and multi-disciplinary forms of research and instruction. The systems approach also seems to offer some promise of addressing the absence of unifying concepts, principles and theories in the social sciences. While all the physical sciences are based on a consistent framework of laws of Physics and Chemistry, no common basis has emerged linking or unifying the disparate concepts and principles of different fields of social science. Indeed, even within social science disciplines, a severe disconnect exists between different fields, such as the link between micro and macroeconomics or between behavioral, motivational and physiological perspectives in psychology. Systems theory provides a way to view different fields of social activity from a common perspective – to view individuals, activities, pathways, formal and informal connections and organizations as component elements of a highly complex, multi-tiered social network of relationships. Common systems principles such as nodes, connections, feedback loops, homeostatic mechanisms, environmental factors seem equally applicable to the functioning of social, political and economic activities. Experience with development and globalization over the past six decades has been aided by comparative analysis of institutions and social systems within different countries and between the national and international sphere. Systems theory has replaced the simple metaphor of the machine as a closed system operating independently of the world around with the more sophisticated concept of physical organization as an open system in relation with its environment. The quest for simple social laws such as the equilibrium between supply and demand has given way to complex mathematical models. In Economics, it has led to the study of markets as complex systems and the search for hidden, non-linear patterns in their apparently chaotic fluctuations, which could be used to anticipate future results. Computer algorithms have come to dominate transactions on financial markets so much that they pose a severe threat to the real economy which they are intended to serve. A mechanistic approach to society – no matter how sophisticated – has proven inadequate to either explain or anticipate human behavior, as illustrated by the sudden collapse of the Berlin Wall, the 2008 financial crisis, Occupy Wall Street, the Arab Spring and countless other events in recent memory. The systems perspective represents a considerable advance over earlier conceptions in social science. But like reductionism, it too has thus far failed to adequately account for the characteristics that distinguish physical, biological and social systems. The problem of emergent properties had vexed reductionist science from its inception. For though reductionism has proven useful for explaining the underlying physical and chemical principles and structures on which living organisms are based, it can only speculate on the causal factors responsible for the emergence of higher order properties and characteristics. Organic chemistry has deciphered the chemical code of all living tissues, but it is unable to adequately explain the capacity of life for sensation, reproduction or adaptive behavior. Systems theory introduced the concept of emergent properties to describe the capacity of higher order systems to exhibit new properties. But naming a phenomenon and explaining it are two different things. Emergence is a name rather than an explanation. How does systems theory account for the differences between organizations and organism? It tends to regard organism as a very complex form of organization consisting of many interrelated subsystems aligned with one another. Ironically, the very power of the systems approach has also given a fresh lease of life to the third leg of the triad mechanism. Rather, the greater subtlety and sophistication with which systems theory deals with differences between inorganic and organic forms of organization have given new impetus to efforts to fully account for the properties of living organisms as essentially identical in constitution, though differing in complexity from purely physical systems. As in the past, many scientists who balked at a purely reductionistic and mechanistic approach have been too fascinated by the power of a new perspective to see what it omits. By this means, reductionism has itself been reduced to an error of perception, while complex mechanism is exalted with characteristics which at least superficially resemble intelligence, conscious choice and goal-oriented behavior. Rather than unpacking the factors that distinguish physical, biological and social systems, systems theory has tended to collapse and recompress animate and conscious behavior into physical mechanisms. Thus, materialism has acquired a fresh lease of life and a new incarnation in disguise. After centuries of dormancy, the Cartesian problem of consciousness has reappeared in an unexpected and more formidable incarnation and revived long dormant ideas and disputes which materialism had laid to rest or brushed under the carpet centuries earlier. Just when neo-Darwinian theory was thought to have solved the problem of biological creation without the need to postulate an intelligent creator, the problem of consciousness resurfaced in theoretical Physics. By far the most disconcerting and potentially threatening contribution of Quantum Theory relates to the impact of the observer on the behavior of subatomic particles. As the reconceptualization of matter in terms of quantum energy fields deposed reductionism, the impact of consciousness on matter revives age-old questions regarding the nature of mind, which Descartes had divorced from Nature and materialism had reduced to a chemical-electrical process of the brain. The capacity of mind to formulate resourceful explanations to reconcile the contradictions between theory and experience is not in question. As Sri Aurobindo explains it, “All human thought, all mental man’s experience moves between a constant affirmation and negation; there is for his mind no truth of idea, no result of experience that cannot be affirmed, none that cannot be negated.... thinking mind is in its very nature an ignorant dealer in possibilities.... sounding and testing each in turn..... Our nature starts from facts and actualities which it takes for real; it is pushed beyond them into a pursuit of uncertain possibilities and led eventually to question all that it took as real.”13In recent times this capacity has been applied to negate the existence of the conscious individual and free will as illusion. The impact of chemistry on human psychology is an established fact. But equally well established is the impact of psychology on biology. Our thoughts powerfully affect the chemistry and physiology of our bodies, as amply demonstrated by mounting evidence of the Placebo Effect. We reduce all thought to a particular coincidence of chemical reactions and dismiss the notion of conscious choice and will entirely. The impact of consciousness on matter and life demands that we seek beyond mere material systems for more adequate explanations. Mind has a marked tendency to affirm one perspective or truth to the exclusion of others and cling to it as long as possible against assault from all contradictory viewpoints. When finally it relinquishes hold on the old and embraces the new, it has an equally marked tendency to reject what it earlier embraced and exclude all that is inconsistent with the new viewpoint or to maintain old and new in separate watertight compartments that never meet and interact. Thus it arrives at alternative and incompatible perspectives and is unable to reconcile them, as testified by the century old struggle to reconcile Relativity and Quantum theory. Today we see the same tendency permeating the debate throughout all fields of science between simplification by reductionism and complexity. Both have made and continue to make contributions to the growth of knowledge. Neither has any likelihood of achieving completeness. For the conflict itself is an indication that we have not yet arrived at a final, all-embracing perspective in which the apparent opposites can be reconciled. All progress in thought seeks a reconciliation between apparently unconnected phenomena. Thus, Newton reconciled the contradictions between motion and rest by demonstrating that the same laws govern celestial motions and phenomena on Earth. Maxwell unified the apparently disparate phenomena of electricity and magnetism as electromagnetism. Einstein unified acceleration and gravity, space and time. Continuing Einstein’s work on unified theory, WAAS Fellow Abdus Salam unified electromagnetic and weak forces. Today, there is an urgent need to reconnect disparate fields of thought in the social sciences – economics, politics, society and psychology. But beyond these, there is a need to reconcile the truths of reductionism and the truths of holism within a wider theory of knowledge. The inability to resolve the apparently irreconcilable discord between the reductionist and systems perspective suggests we are using two faculties of mind at the same level which are themselves irreconcilable at that level. Mind as we commonly use it seems incapable of concentrating on the details of the part, while simultaneously embracing the wider wholes to which it belongs. Exclusive concentration and all-inclusive concentration appear to be incompatible modes of thought, at least in practice. It is equally unlikely that either the mind’s capacity to divide or its capacity to aggregate will be sufficient to bring about that reconciliation. Reductionism seeks reconciliation by searching for a common denominator, ultimately reducing everything to its infinitesimal component parts, but analysis of the atom and the molecule will never be sufficient to explain the properties of matter, life or mind any more than analysis of the letters on a page can explain the meaning of its text. Systems theory attempts to embrace the totality of phenomena and study the mutual interactions between its parts, but totality is not reconciliation. It embraces all but does not reveal the true nature of their interrelationships or underlying unity. Even at the merest physical level, the phenomenon of non-locality defies both reductionism and holism. The sense of identity, belonging and bonding we feel as members of a family, community, nation or common humanity cannot be fully known by dissecting our individual behavior or by charting the maze of interactions between us. That which unites us is deeper than the actions which express our interrelationships. Intuitively many thinkers perceive that something essential is missing from both the reductionist and systems perspectives – something more real and essential than fundamental particles or even the sum of all the parts – something living, vibrant, aspiring, conscious. Perhaps it is beyond the capacity of division and aggregation to know or express it, but it is not beyond our consciousness to experience and know for certain that it is true. When our conceptions fail to fully account for our experience, it is wise to question the sufficiency of our conceptions rather than deny the validity of experience which is a more direct and complete way of knowing. Intuitively we know we are not merely bundle of parts, an assembled mechanism or a complex system, regardless of how particulate, mechanical or systematic some aspects of our functioning may appear. We intuitively perceive that our emotions are far more than mere chemical reactions, our experience more than just complex electrical circuitry, and our thoughts more than mere synaptic events. Our abstract mental rendering of mental, emotional and physical experiences according to limited conceptions falsifies their reality, reducing love to a chemical hormone, joy to an electrical impulse and consciousness to the action of a glorified bio-computer chip. A holistic, inclusive approach to knowledge has proven so fruitful to new discovery that there is a natural tendency to repeat the error of reductionism in the opposite direction by embracing wholesale a holistic philosophy to the exclusion of other ways of knowing. Both perspectives have been generative of new insights and knowledge. They present a constant tension between the part and the whole, between a mechanistic, reductionist, atomistic perspective and a holistic, organismic, ecological, systemic viewpoint. But when we try to reconcile the truths of both we find they present contradictory and irreconcilable views of reality. Can two diametrically opposite philosophies of knowledge both be valid? If not, are we compelled to choose one over the other? Or is it possible that their truths can be harmonized by a third perspective which not merely accommodates and draws upon both but reconciles their differences? This is precisely the point to which Physics has been brought in its efforts to reconcile Quantum Theory and Relativity Theory from different perspectives, each seeking to affirm the validity of its own premises. The solution is not to dispense with rationality, but to broaden it; not to reject the insights arising from reductionism and holism, but to go beyond them to something that harmonizes and reconciles. We need a fuller conception. In doing so, what must be avoided is the inevitable tendency to deny reality to what does not match our conceptions, to deny validity to experimental data and personal experience that contradict our limited mental powers of conception, as past generations have denied with sincere conviction so many truths that to us now appear to be commonplace and self-evident. Instead of compressing and collapsing reality to fit within the four walls of narrow, rigid mental definitions and conceptions, we must challenge those conceptions to relinquish their dogmatic assertions and broaden to embrace the greater breadth and complexity of our experience. But what if no solution exists at that level? What if the problem is not with our theories, but rather with the mental faculty we insist on using to perceive reality? What if the answer lies in discovering and systematically developing higher ways of knowing which have been the source of the greatest discoveries in both science and spirituality? The achievements of both the genius and the seer throughout the ages affirm that there are. If that is the case, then the greatest pursuit of science would not be for a final Theory of Everything, but rather a quest to more fully understand both the powers of mind and the limitations of our mental faculties as we now employ them. Then the ultimate quest of science would be for a truer conception and capacity for knowing. Is there a mode of consciousness capable of reconciling these contradictory mental powers? Is there another faculty of knowing by which we can better understand our own experiences without giving way to wild speculations or making the error of mistaking sense experience for reality? We need to draw upon another power of mind – its capacity for integration. Some insight into what might be necessary may derive from a fresh consideration of the human organism that affirms the truths but transcends the constraints imposed by reductionism, materialism, mechanism and even holism. For in human experience we find a perfect integration of multiple viewpoints of reality. We see the contribution of each of the constituent parts – DNA, cellular organelles, organs, glands, chemical compounds and structural components. At the same time we are aware of the essential contribution of systems which consist of varied component parts functioning in harmonious relationship with one another – respiratory, circulatory, digestive, nervous, muscular, lymphatic. The parts and the systems functioning interdependently and neither can be fully understood independent of the other. But neither the sum of the parts by themselves nor the totality of the parts and systems is sufficient to fully represent the complex integration between them. The smallest change in one part or system can have repercussions throughout the whole organism. This mutual interdependence or integration is a characteristic of living organisms that distinguishes them from mechanical material systems. All depend on the functioning of each. Each depends on the functioning of all the others. Together they exhibit the properties of an All which is more and other than the properties of any and all of them − sensation, metabolism, reproduction, adaptation, growth, development and evolution. These properties are the characteristic attributes of all living organisms. Living organisms are seamlessly integrated wholes that are more than the sum of their parts and their systems and cannot be assembled from their components. Moreover, in addition to the physical dimension defined by its material component parts and the living dimension represented by its integrated systems, the human organism possesses a third dimension, conscious mentality. Conscious mentality is a characteristic of a living being with the capacity for sensation, perception, emotion, thought, will, decision, discrimination, judgment, ideation, imagination, aspiration and joy – capacities unlike anything exhibited by things and systems. Reductionism relies on the mind’s capacity for division to explain consciousness strictly in terms of chemical and electrical events. Systems theory relies on the mind’s capacity to view totalities to explain life and consciousness in terms of feedback loops and emergent properties. Neither is adequate to describe or explain more than their rudimentary attributes. But by what capacity of mentality shall we seek to explain consciousness, which is neither a thing nor a mechanism and which is the basis for human mentality itself? As the properties of physical things are not wholly intelligible by a process of mental division and the properties of living systems are not wholly intelligible by a process of mental aggregation, conscious mentality is not fully explicable by either or both. The need for developing higher ways of knowing is clearly illustrated in the field of social science where the failure of reductionism and the limitations of systems theory are most apparent. It is highly significant that after nearly two centuries of development, human endeavor has arrived at a multitude of autonomous social science disciplines but nothing that may be termed a true science of society. It is as if political science, economics, anthropology, sociology, psychology and, one might add, business management were each studying a separate aspect of reality independent of one another. In fact there is no such thing as the political or economic individual or the political or economic part of society. Society is an integral reality. All aspects of human activity exist or function in relation to every other. There are individual human beings and the societies which they constitute. As every perceptive historian knows, it is impossible to study political institutions independent from economic institutions and productive systems, social values and customs, cultural norms and patterns of behavior, psychological aspirations and attitudes of the people who participate in those political institutions. The same is equally true of the other social sciences. Economy is inseparable from policy, custom, values and aspirations. Law, governance, business, communication, transportation, education and other activities are inseparable from one another. Yet in spite of this obvious fact, the social sciences continue to function as if they were largely independent from one another compensated only by a modicum of inter-disciplinarity. This separation is justified as a practical necessity by the extreme difficulty of studying society as a living, conscious whole. If expediency were the sole or real justification, one would expect that each of the social sciences bases itself on the same common principles of a science of society and then applies those principles to one field of human activity or the other. In fact there is little evidence of anything resembling a science of society or a consensus regarding the basic principles governing all human activity. Although growth, development and evolution are processes or attributes of all fields of social activity, there is no consensus regarding the principles that govern these processes. Systems theory comes closest to attempting a unification of the social sciences by examining the common properties of social systems in different fields of social activity. But its attempt to explain complex social systems in purely mechanical terms is far from adequate. Social systems are alive and they are conscious. They not only function repetitively through self-regulation; they continuously innovate, develop and evolve. Moreover, systems theory ignores the most salient and striking feature of human social systems, the role of the conscious individual. For society is not merely an assembly of parts linked together by systems. It is a grouping of unique individuals with some common characteristics but also with the capacity for unique individual choice. History confirms that the conscious choices of a single person can alter the whole society or change the whole world, as Alexander, Napoleon, Lincoln, Gandhi, Churchill, Gorbachev, Copernicus, Newton, Darwin, Einstein, Edison, Tesla, Ford, Jobs, da Vinci, Shakespeare and countless others have changed it in the past by the power of an idea, an aspiration or an action. The conscious individual remains an inexplicable mystery to both physical and social science. The individual is not merely a complex impersonal system, and therefore unpredictable. The emergence of conscious personality out of impersonal mechanism defies the premises of both reductionism and holism. There may be lower level phenomena that imitate it in one respect or another, but none even approximately accounts for it. To state that conscious life is an emergent property of inanimate matter or an example of the self-organizing properties of complex systems is merely a description that explains nothing. The relationship between the individual and society defies explanation solely in terms of division and aggregation, reductionism and holism. The individual and the society form inseparable, interrelated aspects of a single whole. The individual draws upon the society as the source of knowledge, ideas, values, attitudes, feelings, skills, habits, customs and beliefs and combines them in unique ways to constitute and develop its own attributes. So too, the society draws upon its individual members to make new discoveries, formulate original perceptions, affirm new and higher values, aspire for higher goals, evolve new skills, invent new technologies and innovate new and more effective forms of social organization. Neither can be understood separately from the other. Neither exists without the other. Both form aspects of an integrated whole and can only be effectively understood by approaching them with a faculty capable of insight into their individual uniqueness, common attributes, and more essential unity with one another. Knowledge of the parts is true within limits, as is knowledge of the whole, but neither is complete without knowledge of the essence which integrates them. Consciousness is that essence. The introduction of conscious intention poses monumental consequences. While the determinates of results in the physical sciences always move from the past to the future, the presence of consciousness introduces a radically new factor. It makes possible the introduction of determinates driven by anticipation of future possibilities. According to Newton’s First Law of Motion, inanimate objects remain at constant velocity unless acted upon by an external force directed at it some time in the past; whereas conscious beings can be set in motion by internal forces in pursuit of a future goal. More than a half century ago former World Academy President Harlan Cleveland recognized the profound significance of this truth when he formulated the phrase ‘revolution of rising expectations’ to describe the influence of the future on the rapid development of countries in the Far East. Consciousness broadens the time frame to encompass the force of the future on the present and the past. As a moment’s reflection will make self-evident, our ever-changing perceptions regarding the future account for much of the uncertainty associated with human behavior. In recognition of this fact, Roberto Poli argues convincingly that “the future can be used to reshape the human and social sciences.”16 A true science of society must necessarily take into account the powerful influence of aspiration and anticipation on human affairs. The founding of a unified science of society depends on the development of higher ways of knowing, which great minds of the past have achieved in moments of inspiration. But there is no reason to think that this capacity must remain an attribute of rare genius. A careful study of the mental processes of the exceptional may reveal capacities latent and capable of development in all of us.18There was a time not many centuries ago when even the capacity to read and write was taken as a sign of superior intelligence. Those with the capacity to recite classical texts have been lauded for their genius. Many scientists of the past are revered for having exercised a capacity for careful classification and analysis which is commonplace today. Complex systems-thinking is far more prevalent than it was a few decades ago. Therefore, there is no reason to conclude that capacities for synthesis and integration are beyond our common reach. The first necessity is to recognize that the limitations of present knowledge are the result of the limitations of the mental faculties we employ and that the solution lies not in endless, repetitive exercise of those faculties, but rather in efforts to transcend them by developing more powerful ways of knowing. Division deals with complexity by searching for irreducible, independent, individual elements and classifying them according to their similarities and differences, while disregarding their relationships and interactions. Aggregation combines and coordinates myriad parts in search of the greater whole to which all parts belong and traces the observable common pathways and material processes by which they relate with one another, while ignoring the living and conscious dimensions that are unique, unifying characteristic of the whole, or mistaking them for mechanical processes in the material dimension. Integration seeks the unifying principles and essence by which the individual differences and aggregate relationships of the totality are organically united as expressions of an indivisible living organism. Integration embraces all three dimensions – individuality, commonalty and essential unity.19 Unification of the social sciences involves recognizing that both the aggregate society and the unique individuals of which it is composed are constituents of a single, organic, living, conscious, integral reality that grows, develops and evolves in all its aspects, fields, activities, and dimensions based on common principles and processes. Humanity has made remarkable progress in its quest for knowledge and the application of that knowledge for its own advancement. By knowledge we mean knowledge of existence. Such knowledge, in the measure it is comprehensive and complete, must necessarily bring with it the capacity for application to fulfill the aspirations of humanity, including its quest for peace, security, prosperity, welfare and well-being. The progress we have made and the problems we currently face reflect the extent and limits to current knowledge. The evolution of science and mentality has resulted in a progressive revelation of phenomena once regarded as inexplicable mysteries of Nature. Reductionism by mind’s power of division has delved into the nature of the infinitesimal particles, atoms, elements, molecules, cells and myriad living beings that constitute the components of life in the universe. The holistic vision made possible by mind’s power for aggregation and inclusiveness has revealed the complex interactions and relationships between these components that characterize the nature of physical, biological and social systems. Yet each new discovery in knowledge has cast a new shadow of doubt. More than a century after the formulation of the standard model in Physics, our understanding of the true nature of material energy and substance seems less certain than ever before. More than 150 years after Darwin’s Origin of Species the precise role and interaction between Nature and Nurture, heredity and environment are less clear than it was a century ago. The very process of our knowing seems to lead to a greater awareness of our ignorance. The successful quest of reductionism to discover immutable laws of Nature has brought us to the boundaries where necessity and certainty shade off into uncertainty and chaos. Indeed, Chaos theory urges us to accept with a sense of resignation that uncertainty is an essential property of reality and an ineluctable characteristic of all knowledge. Mind’s quest for ultimate knowledge leads to the conclusion that perpetual ignorance is the only certainty. Uncertainty is the ultimate truth. But what, after all, is uncertainty if not the flip side of infinity. The doctrine of uncertainty which compels us to accept that nothing can be known for sure simultaneously invites us to accept that anything is possible. On the other side of uncertainty lies “the unstructured potential from which all social creativity continuously throws up new opportunities.”20 Looking back on the advances of human civilization over the past few millennia, we are struck not so much by the uncertainty of our historic advance as by the inconceivable creativity, inventiveness and unfolding of previously unimagined possibilities. Life in the Middle Ages was a comparatively uncreative period in which all essential truths were thought to be known but nothing much changed, except by infinitesimal incremental steps. Life today is a period of unparalleled creativity and inventiveness where the only thing we can be sure of is that things will be different tomorrow and that the pace of change will continue to accelerate. Although we may disparage the tendency toward sameness associated with globalization, looking back on the multiplication of people, languages, cultures, religions, nations, institutions, organizations, technologies, ideas, concepts, fields of study and ways of life that constitute our present humanity, one of the most striking facts is the seemingly unlimited diversity that has emerged from our common origin as a species. Where does that diversity come from? Where is it headed? We are entering a period of greater diversity than ever before in human history. The movement of diversification is now shifting from the level of collective to the level of the individual. No longer are we merely inventing distinct and distinguishing social forms. We are now fostering as never before the emergence and development of individuals with their own unique, individualized characteristics, as if the unseen goal were for humanity to manifest infinite variability in the midst of unifying commonalty. The spread of democratic freedom, education, access to information, human rights and tolerance for differences is unprecedented and rapidly increasing. It seems natural that a world of ever increasing diversity would become less and less intelligible according to an approach to knowledge predicated on the fixity, certainty and predictability of nature. It is equally understandable that a world of ever increasing complexity should appear less and less certain to an approach to knowledge derived from a charting of the relationships and interactions between an ever expanding network of nodes. From one perspective, the Internet has become the symbol of the increasing uncertainty bordering on chaos. From another perspective, the Internet has become a symbol of the unlimited aspiration for creativity, inventiveness and initiative that society has made possible by unleashing the emergent power of individuality. Uncertainty and Infinity are complementary aspects of reality. The problems humanity suffers from today are problems of surfeit, not insufficiency. We possess the knowledge, capacity and resources to meet the needs and fulfill the aspirations of everyone. But we are imprisoned by outmoded concepts based on limited ways of knowing. We still believe in the economics of scarcity and competition, politics based on balance of power, the sociology of conformity, the value of money and technology. We still ignore the inalienable rights, ultimate value and unlimited creative potential of being human. A new way of knowing is urgently needed to convert the challenges that confine and threaten us into opportunities for unlimited development. The solution for every problem lies in new ways of knowing. The old school of scientific thought regarded infinity as a philosophical or theoretical concept which could never actually exist. Humanity’s future affirms infinity as a practical concept striving ever more intensely and eagerly to express itself. To comprehend the future toward which we are moving, we need to complement mind’s powers for division and aggregation with other powers capable of reconciling contradictions, integrating the physical, social, psychological and spiritual dimensions of reality, comprehending and perceiving the practical evolution of the Infinite.